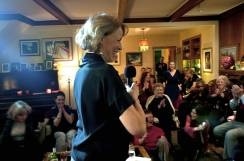 House Concert - One Simple Answer to A Singer's Dream to Perform! House Concert - If You Really Want To Sing, Start At Home! If you are like many singers on this planet at this time, you are seeking places to walk on stage and sing your wonderful music for a thrilled audience. And while there are many commercial venues that must be filled with performers, many of these places rely on big names to bring in big audiences. 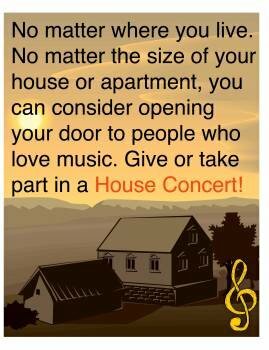 If the kind of music that you sing is not meant to draw thousands of listeners - you may need to get more creative - and think about setting up a series of house concerts. Nope. Not For Me. This kind of concert sends the wrong message! I hear some of you saying, "Well if you can't sing in the well-known concert places, then you must not be very good!" • You may perform music that is ideally suited to an intimate audience. A lot of folk music is like this. • Many solo-singer artists like to sing to very small audiences to gauge reaction - (up close) - to new songs. * There may be few small venues in the city where you live, and house concerts fill in the gap between singing in the 1000-seater and not singing at all. • You may need to start out small, because you do not yet have a large following. • You may want to do a tour through several cities, but do not yet have a following in each of those cities. • One of your "fans" may be so eager for his/her friends to hear you, that he/she will set up a concert for you. • You may just be starting out - you feel you are ready to perform - but not to a large group - YET. You need to start small and build up to the bigger setting. So a concert in a home makes a lot of sense as a bridge to the bigger venue. Do not make the mistake in thinking that an intimate-audience concert is much easier to perform than singing in a bigger venue. In fact, in some ways, this kind of performance is even more demanding because your audience is right there at your feet. If these people are friends and family - they will want you to do well, and they may be less critical. 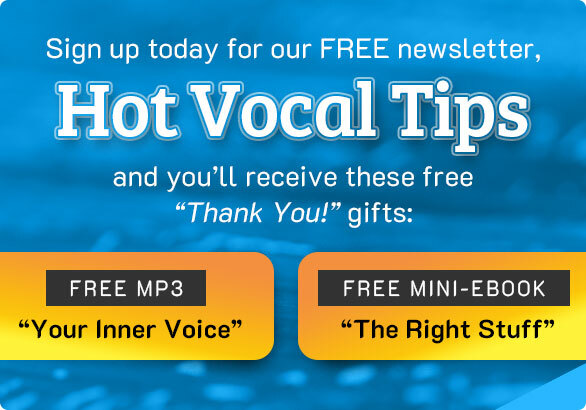 But often, you will be singing to a group of strangers and the pressure is still there to be a richly expressive, finely-tuned vocalist - up close and personal! Most importantly, singing to people in this small, cozy atmosphere allows audience members to really hear, see, and get to know you. They can see you breathe, watch the changing light in your eyes, be deeply "with you" on a powerful musical journey. The effect can be breathtaking for both performer and audience members. and Concerts In Your Home. I wish you great singing - no matter where you choose to do it! Please consider joining my newsletter!